The United States and Cuba officially severed diplomatic relations on January 3, 1961, the culmination of months of increasingly hostile bilateral relations. 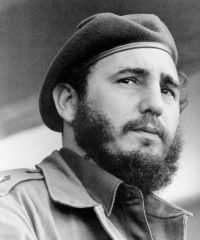 Fidel Castro had seized power in early 1959; relations between Cuba and the U.S. deteriorated rapidly as Cuba nationalized American and other foreign property and companies. The U.S. began to cut back trade with Cuba, barring U.S. companies from exporting to the island. Castro established trade relations with the USSR and, amid rumors that the U.S. embassy was a base for spies, demanded that the embassy staff be reduced. 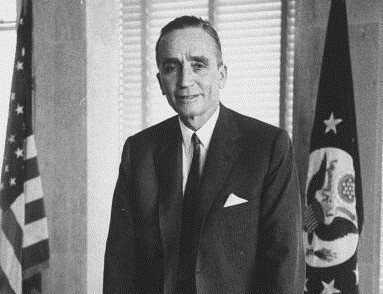 Ambassador Philip W. Bonsal was recalled in 1960 and in 1961 the United States broke all ties, closing the Embassy and lowering the U.S. flag. At the time the embassy closed its doors, more than 50,000 visa applications were on file from Cubans wanting to come to the U.S. Interests sections were established in each country in 1977 but full diplomatic relations would have to wait nearly 40 years more. On March 29, 2015, the United States removed Cuba from the “Terrorist Sponsor” list and on July 1, President Obama announced that relations between Cuba and the U.S. would formally resume with the reopening of embassies in Washington and Havana. Secretary of State John Kerry personally observed the raising of the U.S. flag at what is now Embassy Havana in August, joined by three of the Marines who lowered the flag in 1961. The following excerpt recalls 1961 in Havana when relations between the U.S. and Cuba were at their worst. 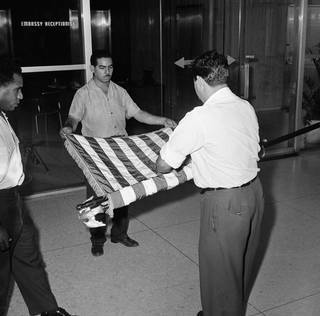 G. Harvey Summ, a Consular Officer in at Embassy Havana from 1960 to 1961, describes the tension in the city, the closing of the embassy and the evacuation of Americans from Cuba. He was interviewed by Charles Stuart Kennedy beginning in March 1993. Read more about the early days of Cuban relations with the U.S. and Kathleen Turner’s childhood in Havana in 1960. 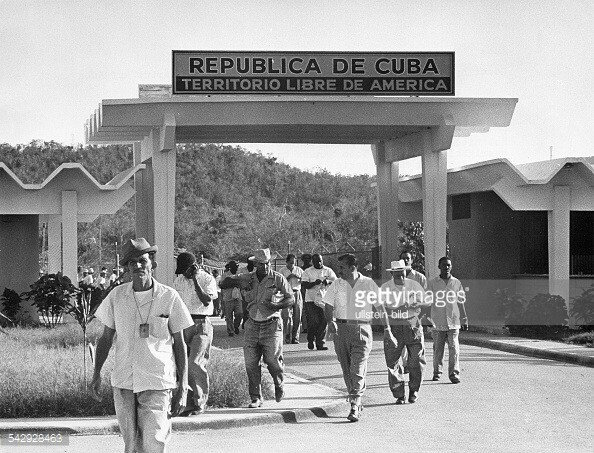 SUMM: The period I spent in Cuba, July 19, 1960-January, 1961 was the period of the highest tension between the United States and Cuba. The month that I arrived at my post was the month in which U.S. refineries were nationalized by Castro. He had already been in power for a year and a half. All the action during the revolution had taken place in Oriente Province, where Santiago was. Unfortunately, I missed it. The parade had passed me by. My predecessors had gone up into the hills to try to negotiate the release of some Marines who had been kidnapped by Raul Castro. But I was just there to observe really. In that month of July when I arrived, the U.S. terminated Cuba’s sugar quota and Cuba nationalized two U.S. refineries. 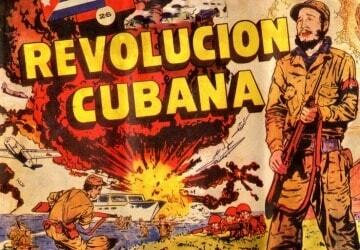 There began to be almost daily insults uttered by the U.S. and Cuban governments at each other. It was a period during which Castro went to the UN General Assembly…the most exciting session it has ever had, where Khrushchev banged his shoe on the table. [Castro had held court in a hotel in Harlem] and later on they renamed a motel in Santiago the Harlem Motel because of that. I guess the most exciting event I recall was…I had driven my wife back in September to Havana to evacuate her to the States. Dependents were being evacuated. We spent the night with Ambassador Bonsal and his wife in the Embassy residence. That was the day that Fidel returned from his trip to the UN and we were watching him report to the Cuban people on television. There were five of us in the Bonsal living room after dinner,…the Bonsals, my wife and myself, and Ambassador Bonsal’s secretary. I remember that all four of us, except the Ambassador (seen here), were furious at some of the lies that Castro was uttering, but not a muscle moved in Ambassador Bonsal’s face. I went back to my post the following day after putting my wife on the plane to the States and spent another three months in Santiago during which relationships continued to deteriorate…. The Guantanamo Naval Base was 40 miles away as the crow flies and 80 miles by road. I went over there several times. Then, of course, the last part of my stay was when relations were broken. I tried to calm her, but I realized immediately that the U.S. would not accept this and that this meant that deteriorating circumstances were now going to come to a head and relations were going to be broken. I called the whole American staff of the Consulate, there was a total of six, and we all went down to the office. I called the Embassy by CB and said that we were going to start preparing to destroy documents, and would await word from them. Of course they were just as surprised as we were. We secured things for the night and the next morning, Monday morning, which was a holiday…it was the second anniversary of Castro’s coming to power….We came and started to burn documents and get ready for evacuation. We sent out telegrams to all the American residents in our consular district saying that we were going to lead a motorcade to Guantanamo Base for evacuation and they were welcome to join us. About 40 automobiles joined us. So what I did was, we led this group out to the base and then, all by myself, drove back in the Consulate station wagon and remained there for another ten days with nothing to do. Fortunately, the landlord of our residence was a Puerto Rican businessman with a Cuban wife and they had invited me to stay with them, which I did. I used to play dominoes with the kids every afternoon. I would drive to the Consulate, which wasn’t far from there, twice every day to listen to the radio and find out if anything was happening. There were no duties to perform because relations had been broken. Fortunately, that worked. I waited a total of ten days until the Swiss representative came after finishing the inventory of the Embassy. I don’t know how many times I took inventory. I had nothing else to do. I remember the representative arrived, German Swiss and very proper. He said, “No, no, no. This isn’t done the way it is supposed to be done.” I think I had done it room by room and according to him it had to be done item by item by item. I said, “Okay, if you want us to redo it we will, but I don’t know how long it will take us.” I knew he wanted to get back to Havana that night. He finally said, “Okay, give me the inventory the way you have done it, and I will sign it.” He left that night. The next morning, I, with this Cuban employee, drove to Guantanamo Base where the orders were the vehicle was to be left there and shipped back to the States and I was to stay on the base. I hadn’t received my Cuban identity card yet. All I had was my American passport. Miguel, the employee, passed our documents over to him. You could see this fellow reading my passport in English and not understanding it or what we were saying. 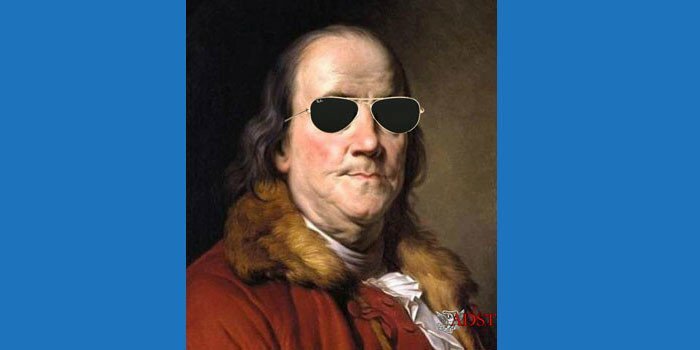 Now this stands out in my mind because of the so-called strong antipathy of Cubans for the United States. Here was a member of the militia talking to a representative of the hated U.S. government who was polite enough to say he was sorry. In fact, during my whole period there, even when I no longer had duties to perform, I found nothing but courtesy and kindness. A Moment in U.S. Diplomatic History Which Witch?